Dr. Matthew A. Bridges is a Double Board Certified Facial Plastic Surgeon offering cosmetic and reconstructive surgery for the face, nose, and skin. Dr. Bridges has spent many years studying and going through extensive training to become one of the top facial plastic surgeons in Virginia. He is board certified in Otolaryngology/Head and Neck Surgery, which gives him an advanced knowledge and understanding to the functions and diseases of the ear, nose, and throat. Dr. Bridges is also board certified in facial plastic/reconstructive surgery and he combines both of these certifications to provide excellent care and treatment for his patients. Dr. Bridges performs nose surgeries for cosmetic reasons (rhinoplasty) and for medical reasons (septoplasty, sinuplasty, and more) with outstanding results that improve his patients’ lives and confidence. Patients seeking facial reconstruction to restore the form and function after a trauma or skin cancer excision will find that Dr. Bridges is a skilled and compassionate surgeon. In addition to reconstructive procedures, he performs facelift surgery, brow lift and eyelid lift surgery, otoplasty and chin augmentation. He also offers a number of nonsurgical facial rejuvenation treatments such as injectable fillers and BOTOX. Dr. Bridges received a Bachelor of Arts with highest distinction in Biology from the University of Virginia, where he spent 4 years on the Dean’s List, and was a part of Phi Eta Sigma Honor Society and AED Premedical Honor Society. Dr. Bridges then continued his education at the University of Virginia School of Medicine where he earned his Doctor of Medicine degree. He then began a 1-year surgical internship at the Virginia Commonwealth University Health Systems with rotations in general surgery, neurosurgery, transplant surgery, vascular surgery, thoracic surgery, cardiac surgery, trauma surgery, anesthesia, and emergency medicine. Dr. Bridges stayed at VCU Health Systems and chose to focus on Otolaryngology/Head and Neck Surgery during his 4-year residency. To complete his specialized training, Dr. Bridges completed a prestigious year long fellowship in Facial Plastic/Reconstructive Surgery with world-renowned facial plastic surgeon Dr. Russell Kridel at the University of Texas Health Sciences Center at Houston. After his residency at Virginia Commonwealth University Health System in Otolaryngology/Head and Neck surgery, Dr. Bridges joined the United States Air Force (USAF). He served as the staff otolaryngologist at Keesler Air Force Base and Langley AFB Medical Center. Dr. Bridges was awarded the rank of Major in the USAF in May 2005. Dr. Bridges received an Honorable Discharge from the U.S. Air Force in 2008, when he decided to continue his training with a fellowship in facial plastic/reconstructive surgery. Dr. Bridges believes strongly in educating the next generation of facial plastic surgeons so he has been a clinical instructor at Keesler Air Force Base, Portsmouth Naval Medical Center, and the University of Texas at Houston. He is currently an assistant professor at his alma mater, Virginia Commonwealth University. Click here to visit the VCU website. Dr. Bridges has received many awards and honors for his work in facial plastic surgery including 3 awards from Vitals: Patient’s Choice Award, Compassionate Doctor Recognition, and On-Time Doctor Award. He was also a recipient of 2 scholarships, the Howard Hughes Undergraduate Research Fellowship and D. Edward Hebert Armed Forces Health Professions Scholarship and Financial Assistance Program. 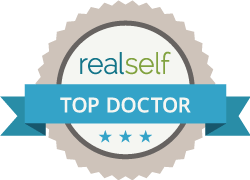 Dr. Bridges is also proud to be on the Healthgrades Honor Roll and a Top Doctor on RealSelf. Dr. Bridges is a member of the American Academy of Otolaryngology-Head and Neck Surgery, as well as the American Academy of Facial Plastic and Reconstructive Surgery (AAFPRS). He is also a part of the American Academy of Otolaryngic Allergy and a former member of the Residency Staff Council Committee, Virginia Commonwealth University Health Systems. In addition to his practice and teaching positions, Dr. Bridges also remains involved in medical research and writing for medical publications. He has worked with several top facial plastic surgeons, including his mentor Dr. Russell Kridel, on research projects to improve the field of facial plastic surgery. He has also authored and co-authored several papers that have been published in prestigious medical publications and given numerous presentations to the medical community. Dr. Matthew Bridges is a Richmond, VA Double Board Certified Facial Plastic Surgeon offering surgical and non-surgical procedures.